On what day did our Lord rise from the dead? Title – On what day did our Lord rise from the dead? Author – I. M. Haldeman, D.D. Publisher – First Baptist Church, Broadway and 79th Street, New York, N.Y. Many, many years ago, Pastor Haldeman of today’s historic First Baptist Church in New York City spent a great deal of time countering those who desired to put Christianity back under Mosaic Law. And in this particular book, he opposed those who stated that the Christ rose from the grave on the seventh day. There are those who teach our Lord Jesus Christ was crucified on Wednesday, remained in the tomb Wednesday night, Thursday night and Friday night, three nights; that He rose late on Saturday afternoon, the afternoon of the Jewish Sabbath, the seventh day, and not the first day of the week at all. 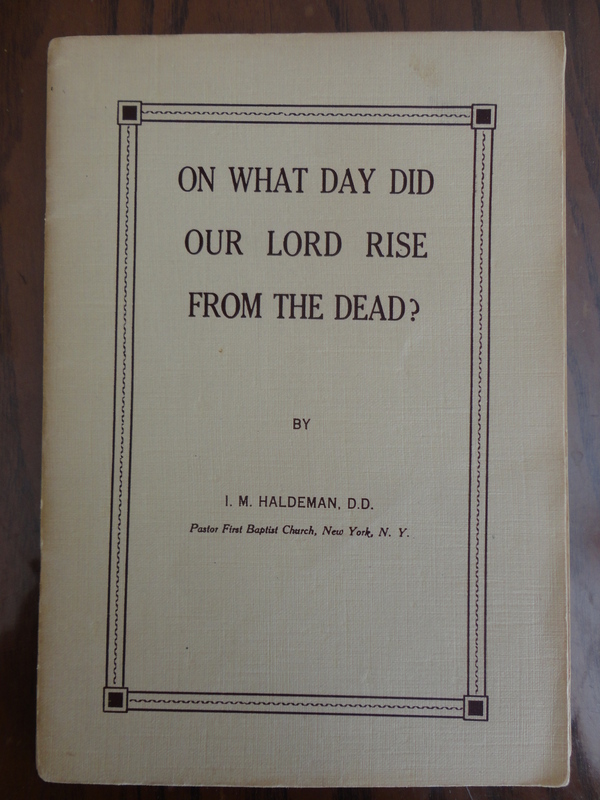 In this booklet, Haldeman vigorously defends that Jesus was crucified on Thursday and raised from the dead on the first day of the week. Personal note: I still tend to hold to the biblical sequence of Jesus dying on Friday. 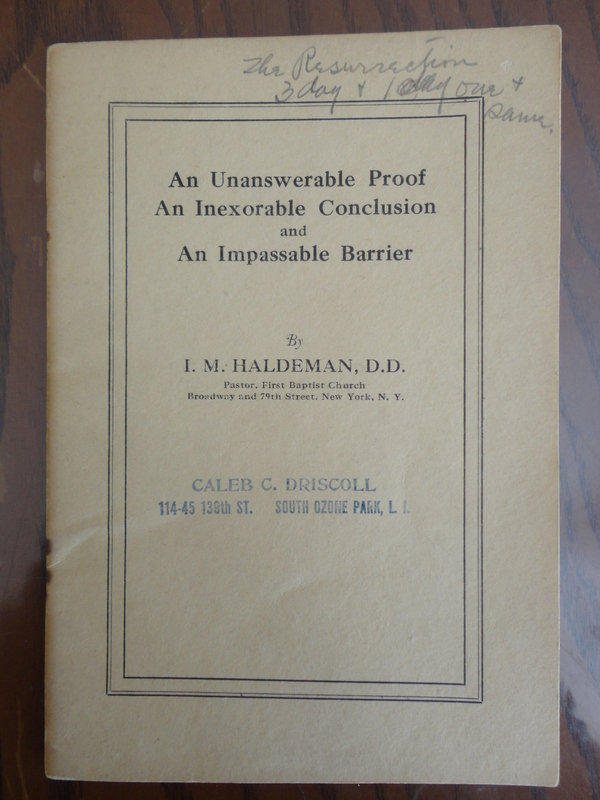 Pastor Haldemon also defends the same thesis from an entirely different angle in his booklet, An Unanswerable Proof, an Inexorable Conclusion, and an Impassable Barrier.